If you a hair stylist, esthetician, massage therapist, nail technician or a professional in a related field looking for the perfect location for your business, the Salon Suites at Bradley Place Shopping Center in Fox Point, Wis., are for you. These luxury suites are the perfect choice for today’s discriminating renters who want the very best for their clients. Conveniently located near public transportation and Hwy. 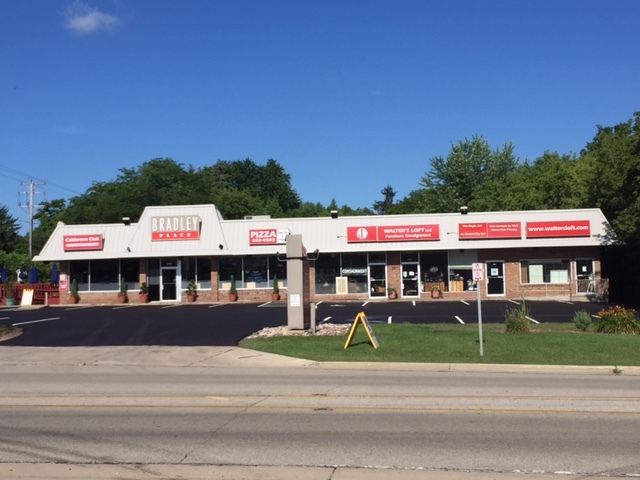 43 (at the corner of Bradley Road and Port Washington Road in Milwaukee’s North Shore), the Bradley Place Shopping Center offers a variety of flexible rental options. Private, locked spaces each include water hookup, all utilities and free Wi-Fi, plus a handsome guest reception area, break room with refrigerator, microwave and a coin-operated washer/dryer, two attractive public restrooms. Choose from a variety of floor plans with build-out options available. The Bradley Place Shopping Center is a destination on Milwaukee’s North Shore. It is home to two high-quality, longstanding businesses: Calderone Club restaurant and Walter’s Loft furniture consignment shop. Each of these businesses attracts high-end customers and promotes a commercial vibrancy.